We have an extensive variety of paso fino bits on sale now at economical pricing. Rest assured you will be given only superior value products here at our online Horse Tack Store. This happens to be one of our most popular paso fino bits we have to offer. This product contains copper rollers measures 4 3/4'' in size. The copper rollers in this product create salivation in the horses mouth. 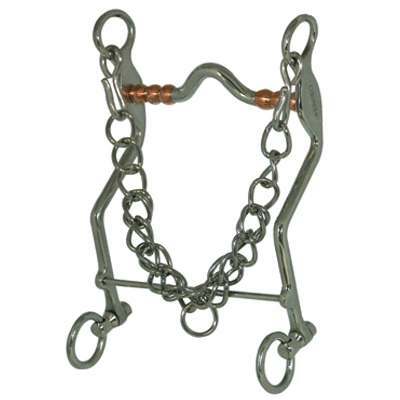 When buying Horse Bits at Horse Tack Now, rest assured you are getting superior quality horse tack products.